Peter Morton was born on 7 August 1947, in Chicago, Illinois, USA, and is a businessman, certainly best known for founding the Hard Rock Café with Isaac Tigrett. He’s also popularly known for starting other chains of casual dining restaurants. He does charity work, and all of his efforts have helped put his net worth to where it is today. How rich is Peter Morton? As of late-2016, sources estimate a net worth that is at $500 million, mostly earned through the success of his various businesses. Hard Rock Café earned a significant amount of money for him, and had branches all over the United States before it was sold for a large sum. All of these achievements have ensured the position of Peter’s wealth. Peter attended the University of Denver, graduating in 1969 with a degree in restaurant and hotel management. Peter is the son of Arnie Morton who is best known to be the founder of the Morton’s Steakhouse restaurant chain, and has a twin sister, and is the half-brother of businessman Michael Morton. In 1971, Peter with Isaac Tigrett opened the first Hard Rock Café in London near Hyde Park Corner, and the success of the Café would help increase Peter’s net worth significantly. In 1982, the Café started to expand when Morton and co-founder Tigrett decided to develop their own cafes in cities around the world. Morton went on to open Hard Rock America with branches in Los Angeles, Las Vegas, La Jolla, Houston, Chicago, San Francisco, Maui and Newport Beach. He later extended it to cities overseas as well, including Sydney and Melbourne. The expansion continued until The Rank Group, then known as The Rank Organisation, decided to buy the cafes owned by Peter. He sold all of his cafes in 1995, but retained the Hard Rock Hotel & Casino located in Las Vegas, Nevada. The sale would increase Peter’s net worth dramatically. Morton held the Hard Rock Hotel & Casino until 2006, when it was bought by Morgans Hotel Group; the hotel and part of the brand was said to be sold for $410 million. The sale gave the group rights to the Hard Rock Hotel in Vancouver, Texas, California, and Australia. Peter’s next endeavor would be a restaurant in Los Angeles called “Morton’s Restaurant”. He also owns the restaurant called “The Ivy”. For his personal life, it is known that Peter’s first marriage was to Paulene Stone(1980-89) and they had a son who would eventually found the Pink Taco Restaurants. A year later he married Tarlton Pauley, and that marriage would last until 1997. Aside from these, Morton is the godfather of the film producer Matthew Vaughn. 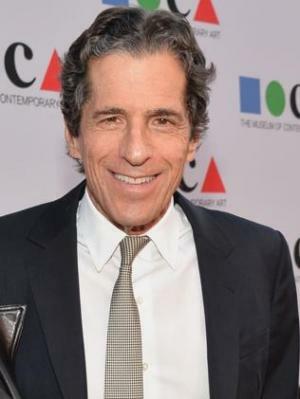 He is also a member of the Board of Trustees for the Museum of Contemporary Art (MOCA) located in Los Angeles. He is part of the board of the Natural Resources Defense Council (NRDC) as well, and has been involved in various charitable works, including a donation made to the UCLA, which renamed 200 UCLA Medical Plaza to the Peter Morton Medical Building.